An organization’s objectives for continual improvement, including the performance of its personnel, might be affected by a number of internal and external factors including changes in markets, technology, innovation, and the requirements of customers and other stakeholders. 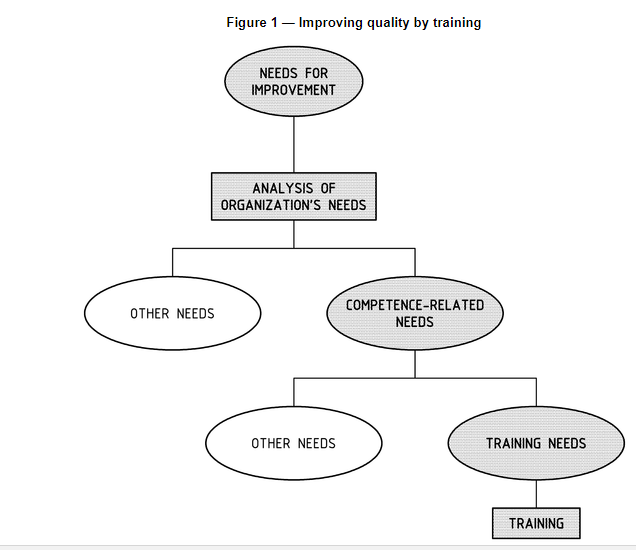 Such changes may require an organization to analyse its competence-related needs. 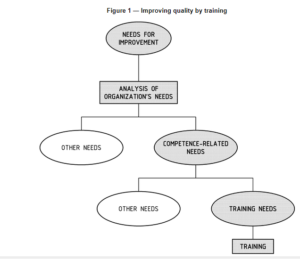 Figure 1 illustrates how training could be selected as an effective means of addressing these needs. The role of this International Standard is to provide guidance that can help an organization to identify and analyse training needs, design and plan the training, provide for the training, evaluate training outcomes, and monitor and improve the training process in order to achieve its objectives. It emphasizes the contribution of training to continual improvement and is intended to help organizations make their training a more effective and efficient investment. It is easily understood by companies familiar with ISO 9001:2008 quality management systems being based on the process approach. It can also be used by organizations that have not implemented ISO 9001:2008, but have instead opted for other quality tools, such as the EFQM model, or TQM approaches.